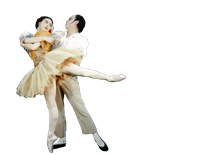 At the time of this performance, Kenneth MacMillan's surname was spelt 'Macmillan'. Robert Irving and John Hollingsworth were both listed as conductors in the programme. It is unclear who conducted this performance.